When migrating to an SD-WAN, do you still need a branch router? What does a branch router do? Circuit termination. Routing. QoS. Tunneling. Filtering or even firewalling. Virtual networks. Maybe a few other functions, depending on what you stacked on the box. Can an SD-WAN appliance do all of those things? In the early days, the answer was…probably not all of them, and so you’d often keep your branch router inline with the SD-WAN device. What about today? Do you still need to keep that branch router around, consuming power and running up your maintenance costs? Or can a modern SD-WAN forwarding device be a full replacement for a branch router? Derek Granath, VP of Product Marketing; and Rolf Muralt, VP Product Management for SD-WAN at Silver Peak, join us for today’s sponsored discussion about branch router architecture. 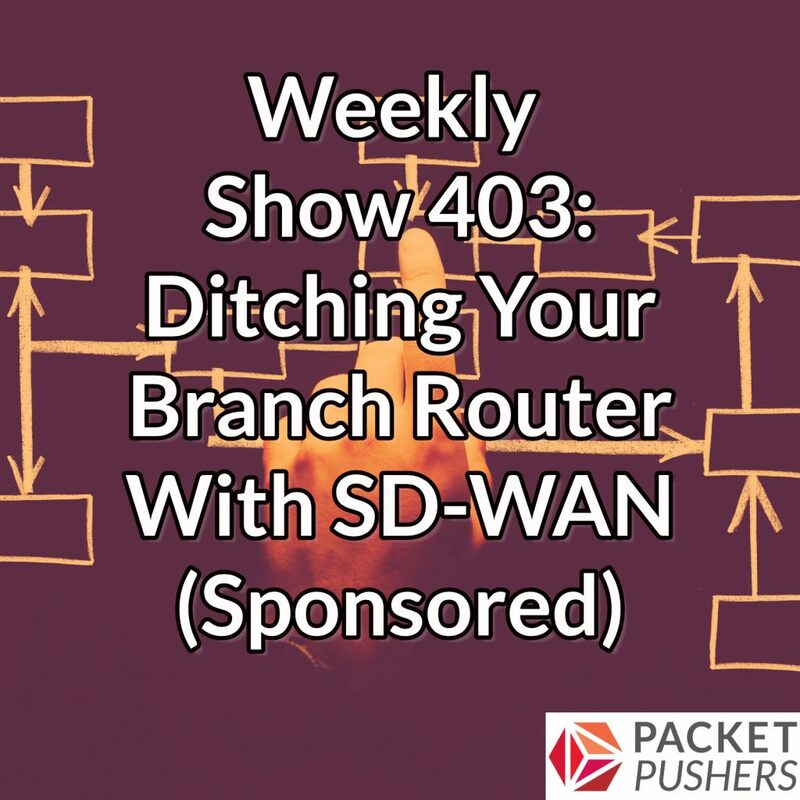 We examine the business drivers for eliminating branch routers, discuss potential tradeoffs that come with swapping out the router for an SD-WAN appliance, look at architecture and design implications and caveats, and explore the process of going live without the router. For more information on Router Replacement visit silver-peak.com/think-outside-router, where you can Download the Top 10 Reasons to Replace Your Branch Router with SD-WAN eBook or the Architecting an Application-Driven WAN Edge – Solution Brief.